The field proven WellPartner Casing Guide is a light weight conductor and casing guiding tool. The WellPartner Casing Guide will assist with stabbing off casing and conductor strings into subsea wellheads during drilling operations. 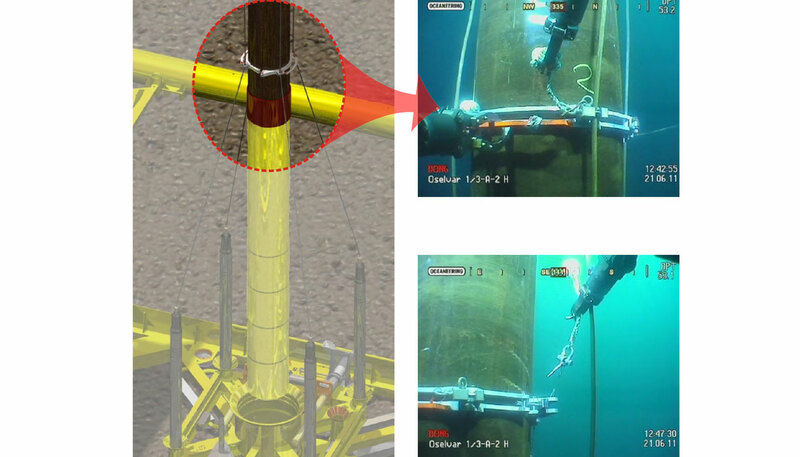 The Casing Guide is mounted onto the casing and/or conductor in the rig moonpool area, and is released subsea by an ROV after a successful stabbing. The lightweight Casing Guide can be lifted by one person.